Have you ever experienced having some pain on inside of knee? 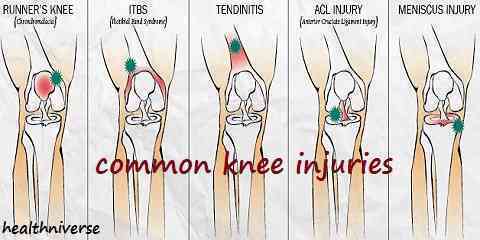 The pain which is felt inside the knee can be said as a symptom of a various knee injuries. Could you tell me where the pain inside the knee comes from? The knee’s inside part consists of the intersection of those 4 bones and also 4 ligaments with some of the tendons, menisci, and also cartilage. Knee is the center of all the legs movement system. In the other words, when the knee is injured all the legs movement system will be halted and disturbed too. Talking about the causes of the pain on inside the knee, there would be so many different causes which can be later related to the injury. These are some of the most causes why it happens. OA is actually a degenerative illness which damages the cartilage that causes the bones which are located in the joints for grinding altogether. When you are trying to give pressure on your joint and it causes horrible pain from sitting down in your chair then you might have experienced the osteoarthritis. As it is located in the joints, it may get more and more serious. RA is a kind of disease which causes the pain in the inner knee which is relatively autoimmune. RA will cause the inflammation within the joints thus the symptoms of its severity will decrease in the day but get worse in the morning. 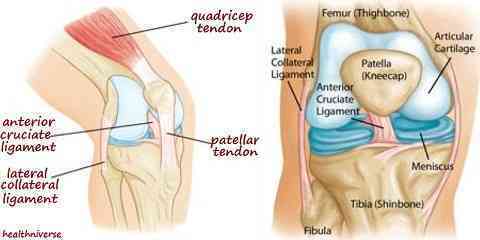 The injury of the medial collateral ligament will either have the fully or the partial torn. How to refer that what you experience is the symptom of MCL? Sometimes people with MCL would experience swelling, locking knee, feet instability, and also the popping sound when it happens. The injury of the medial meniscus happens when the meniscus is damaged when the knee is under pressure and rotated wrongly (sprain knee). This is often happened during the sport activity. This injury is differentiated into four: flap, bucket handle, radial, and also degenerative. In the middle of the tendons and MCL, there are a lot of bursas which are called the pes anserinus. Sometimes when the bursa feels irritated due to its over usage, it will cause swelling on the knee. It happens because of the osteoarthritis, obesity, tight hamstring muscles, and also wrong position of the lower leg while walking. Related to the pain that you feel inside your knee, you need to know how to treat it. When the pain is quite minor, you can have the home remedies applied on your knee. Avoid the activity that causes pain, such as lifting, squatting, running, taking the stairs, walking, or cycling. However, you also have to change your lifestyle in order to heal faster. You need to avoid pressure your knee and skip having the exercises. Yet, when you want to have the therapy to make the muscles aren’t stiff, you can have it with the ultrasound therapy and physical therapy to get rid of the pain on inner side of knee.